Marla Baggetta’s ​Loosen Up! 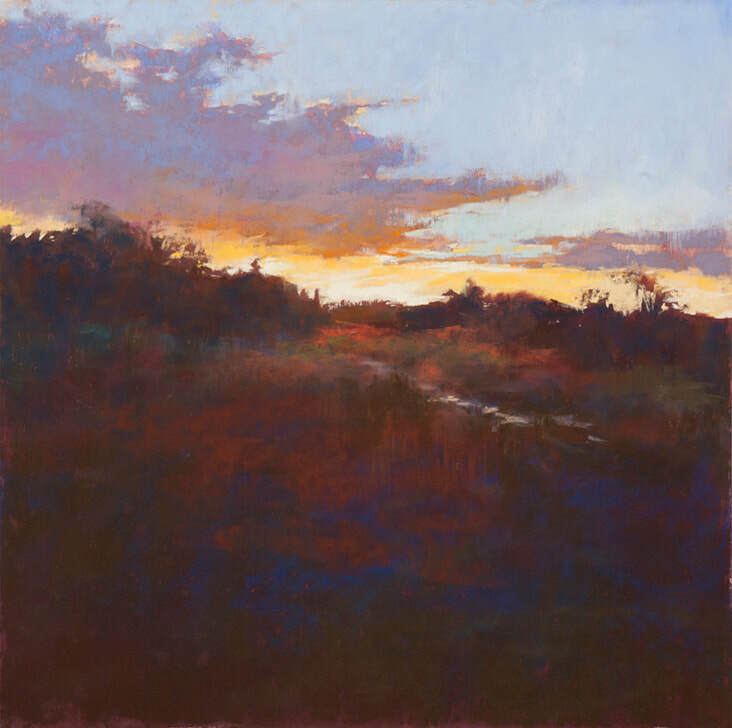 pastel painting workshop​ is based on “100 Variations”, a pastel series featured in Pastel Journal, which marked a shift in Marla's career and became a metaphor for her life as an artist. By working on multiple pieces of the same composition students discover how to “loosen up” and push their boundaries as painters. Over the course of the workshop students will use the fundamentals of painting as the foundation as they explore the lessons that can be learned by immersing oneself into a theme. Some mixed media will be explored to foster a non-precious approach. This workshop will include demonstrations, individual mentoring and positive, actionable critiques.This is a fast paced lively workshop for both the beginner and experienced artist. Short Course Description: Work multiple pieces of composition as you ​Loosen Up. H​elping you grow past resistance and hesitation, Marla Baggetta uses foundational painting fundamentals in exploring the myriad lessons learned by immersing oneself in a theme. Fostering a playful approach, this fast-paced workshop includes some mixed media, demonstrations, individual mentoring, and positive actionable critiques. About Marla Baggetta Adeptly assisting students develop individual and intuitive painting styles, Marla Baggetta is a sought after workshop instructor with an approach reflecting her Art Center College of Design education and years of experience gained only from behind the easel. “It’s a great honor to work with students to pass on some of the knowledge I’ve gained from my many great instructors and my own discoveries and insights as a painter. I’m a true believer that the fundamentals of painting combined with our authentic voices make painting a uniquely human and transformative act. As a teacher, I provide a strong base of the fundamentals of painting to assist every student in reaching their unique creative expressions in a respectful, nurturing environment.” Visit ​MarlaBaggetta.com​ to view details and online gallery and pastelpaintinglessons.com to view her instructional site. You can also read her October 2009 Pastel Journal article "Going for 100", about painting the same subject 100 times: www.landscapepaintinglessons.com/going-for-100. A prolific painter and teacher, Marla's artwork and workshops have been nationally sought after and represented throughout the country for over 30 years. Contributing to many art publications such as Pastel Journal, she is a signature PSA member and an IAPS Master Circle. Professionally, Marla is well-known for her 100 Variation Series. We are accepting registrations from MAPS MEMBERS ONLY until May 1, 2019. If you'd like to become a member, click here to go to our Membership page. In this fun, fast-paced workshop, we'll explore ways to create more effective, expressive landscape paintings by focusing on things like intent, mood, composition, color and atmosphere. Painting is so much more than just copying a photograph or trying to draw what we see in front of us! Using lots of short painting exercises along with a few longer painting sessions, you'll find new tools to help you make better decisions while you paint. Even more importantly, you'll learn new ways to think about your painting process. Be prepared to stretch your brain as well as your painting muscles! About Lyn Asselta Lyn is a Signature Member of the Pastel Society of America (PSA), an International Association of Pastel Societies (IAPS) Eminent Pastelist, a member of the Salmagundi Club, the Eastern League of Professional Artists and American Women Artists. She is the founder of the First Coast Pastel Society (FL) and is a Member of Excellence of the Southeastern Pastel Society. Her award winning paintings have appeared in shows and exhibitions throughout the United States, and in invitational exhibitions in France and China. In 2009, Lyn had the honor of being an Artist in Residence for the National Park Service at Acadia National Park in Maine. Her work was featured in the February 2016 issue of Pastel Journal magazine and her painting "Blue Morning, Crescent Beach" appeared on its cover. She has also been featured in Pratique des Arts magazine and Plein Air magazine. In 2018, Lyn published her first book, Seeing the Landscape, a collection of her paintings and prose. 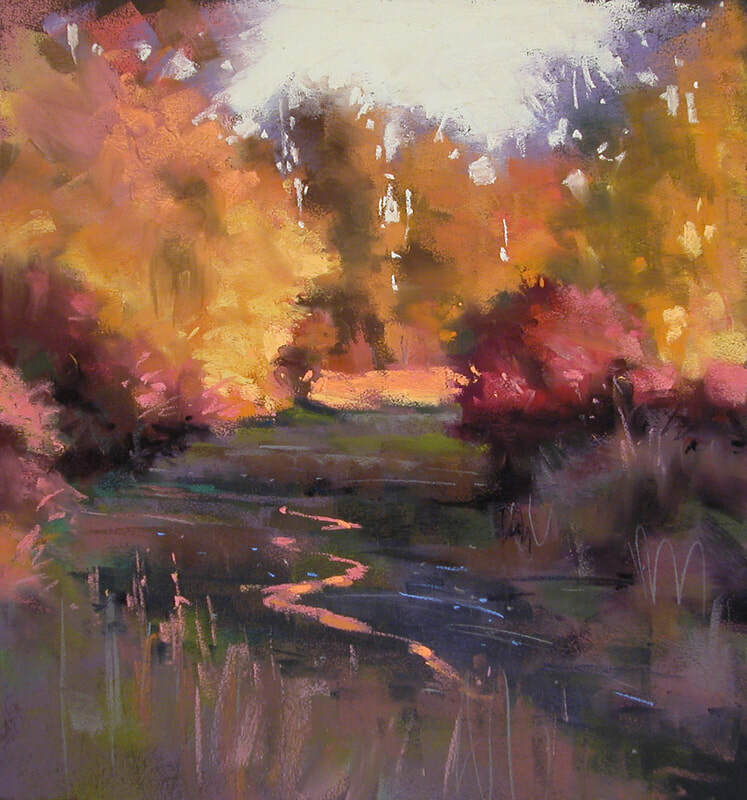 Lyn travels extensively to teach both studio and plein air pastel landscape workshops. Living and painting in the nation's oldest city, Saint Augustine, Florida, Lyn's work is represented by Cutter & Cutter Fine Art, St. Augustine and Ponte Vedra, FL. She is a Unison Colour Associate Artist, representing Unison hand made pastels. Lyn also has developed four signature pastel sets for Jack Richeson & Company, which can be purchased through links available on her website. To learn more about Lyn, visit her website at lynasselta.com.